In December 2011, I was diagnosed with Glioblastoma Multiforme (Brain Cancer). Although most only live 12 months – 15 months after diagnosis, I’ve been blessed and have lived longer than originally expected. As a result, I decided to create a bucket list to experience all I could while I’m healthy. 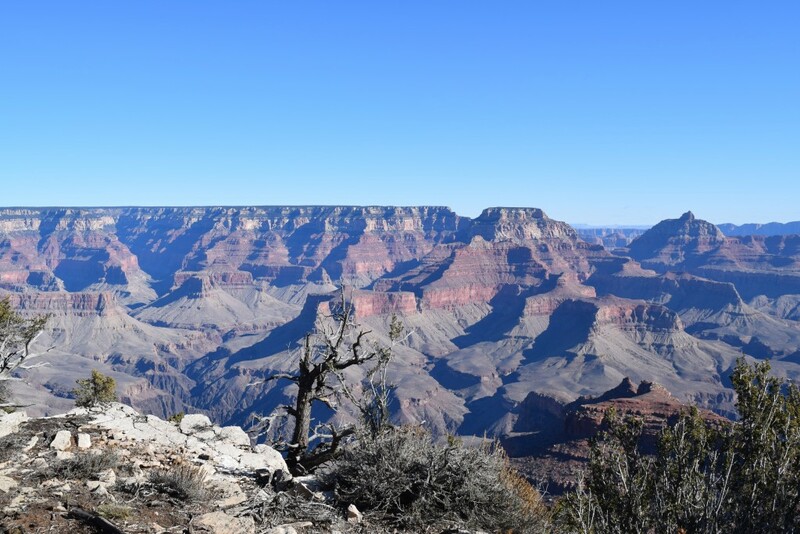 The Grand Canyon was high on the bucket list, and with the support of a few friends, my daughter and I were able to make that dream come true. 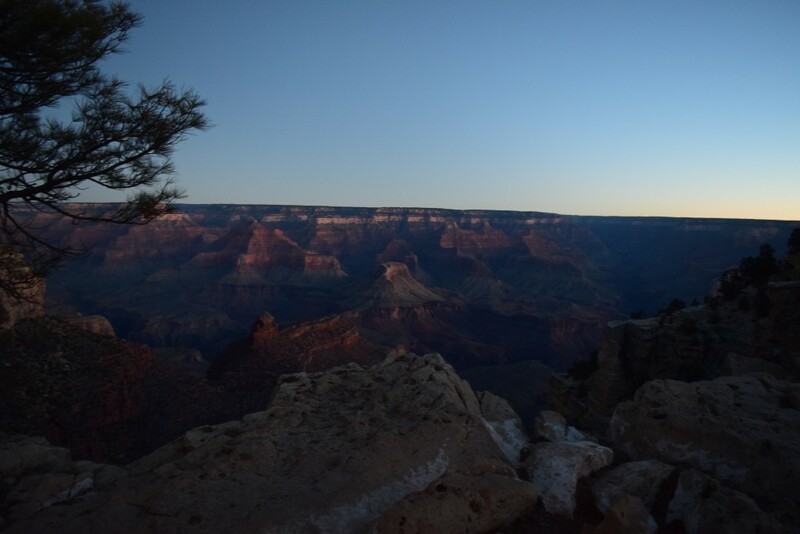 The Grand Canyon is beyond what words can describe. The beauty and mystery in its vastness is impossible to visualize even when standing on one of its edges looking out. Although I’ve had the opportunity to travel many places, the Grand Canyon is one of my favorites. The trip to the Canyon is only a four-hour drive from Phoenix. The trip takes you mostly through mountains; mountains and trees as far as the eye can see. The temperature difference as you climb higher is interesting. Although it was December, when we left Phoenix it was 70 degrees. As we got higher in the mountains, it got bitter cold and there was even snow on the ground in certain places. 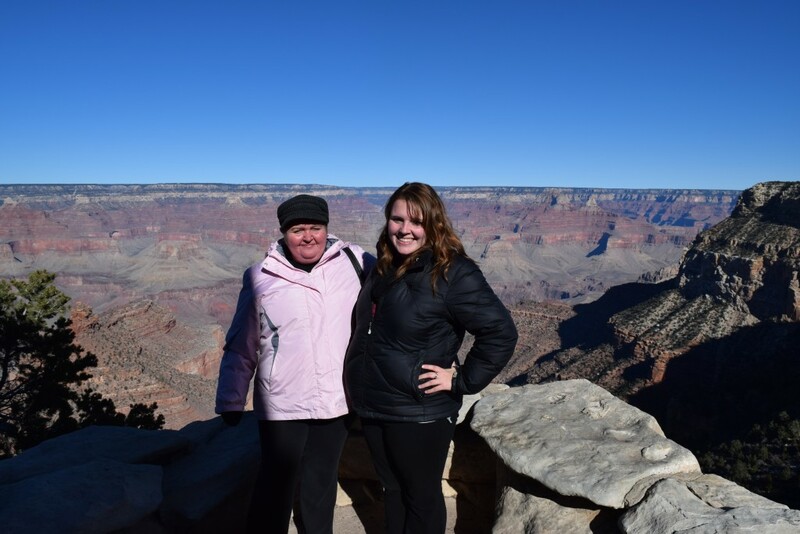 When we arrived at the Grand Canyon, it was around 30 degrees with a gusty wind – colder than it was at home in New York. 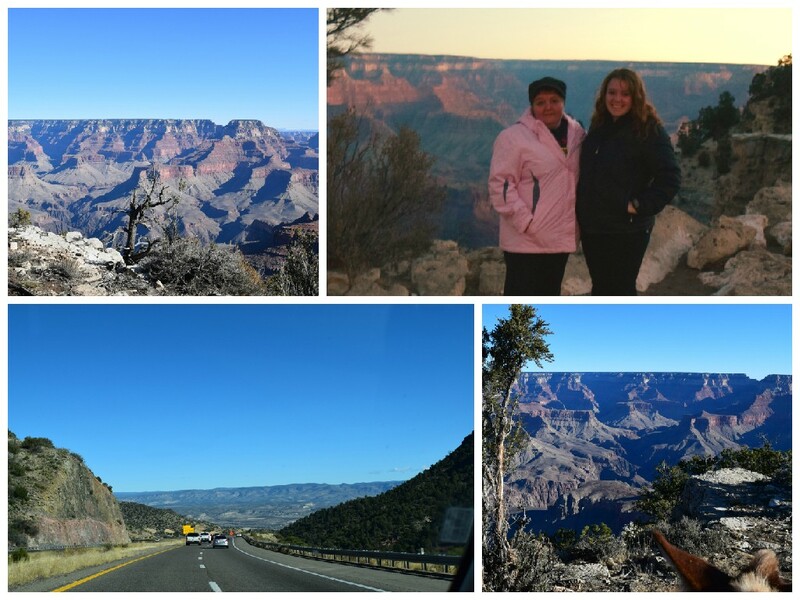 Seeing the Grand Canyon for the first time was amazing. Words cannot describe it. It looks like a gigantic painting; beautiful colors and rock formations. There are not many rails, so people are able to walk up right to the edge. At night it is pitch black. It looks like a giant abyss. At night, we stayed away from the edge, afraid of taking a wrong step and falling in. One of the most memorable things from our trip was the mule ride around the rim. After a quick orientation to mule riding, we loaded up and were off. At times we stopped close to the edge to take pictures. We learned from our guide that the reason they use mules instead of horses is that mules are less likely to run off the edge. They are stubborn animals and want to preserve their life. I was extremely happy to hear that! Marcy and Junkie were our mules and after two hours of riding we were the best of friends. However, we found out how tough riding mules is when we got off of them and our legs felt like jelly. Well worth it though. It was a wonderful and memorable trip. Another bucket list item complete. If you have not been there I highly recommend it. It really brings to light how small in the world we really are. The Grand Canyon is Mother Nature at her best.